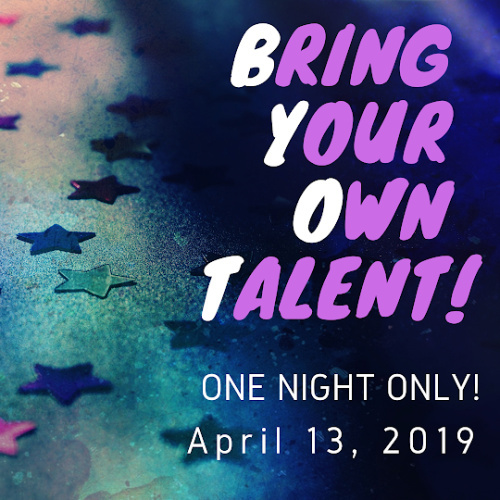 An Evening of Do-it-Yourself Entertainment on Saturday, April 13. - You can juggle pickles and bowling balls while singing The National Anthem? - You can complete the crossword puzzle in the shower? - You can demonstrate the difference among Salsa, Bachata, Cha Cha and Merengue while cooking an omelette? And the world doesn't know you have these talents?? What are you hiding them for? Contact Sam Barrett at colonialplayhousedramadirector@gmail.com to get on the schedule. If you want to write but need actors, let Sam know. If you want to dance but need a partner, let Sam know. If you want to attempt the sawing girl magic trick for the first time... talk to Sam Barrett, and she may suggest something else. No one turned away due to race, religion, sexual orientation or lack of talent! Only requirement - COME TO HAVE FUN!!!!! Doors open at 7. Donations at the door accepted. 5 dollar bills are great! Show starts at 7:30!